Do you think you have found a meteorite? Many people have been to the desert, or river, or perhaps even their own backyard and found a rock that is unusual. Some of those rocks are thought to be meteorites. But how do we know? A good place to start is with helpful information and meteorite identification tests you can do to help answer your question “Is it a meteorite?”. 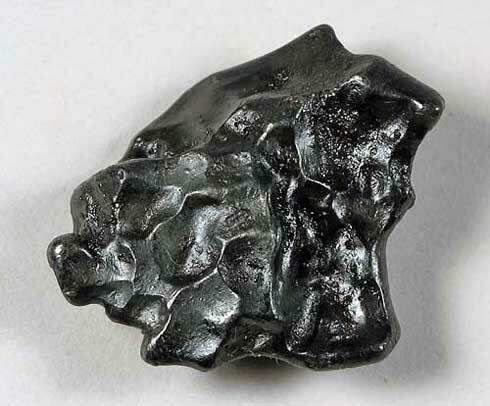 Meteorites come in three different large classes, Stone (Stony), Iron, and Stony-Iron meteorites. But, to be honest there are a lot more actual types within the three classes so it can be complicated to make a refined classification. But for our purpose here let’s work with the three main classes. This is by far the largest of the three main types. These meteorites look like a rock since they are made of mostly mineral material similar to many rocks originating here on Earth. But, true meteorites are often much heavier for their size than an Earth rock. So ‘Heavy for Size’ is the first thing to examine in your suspect rock. If the rock is broken it will be solid inside. It will not be porous like lava rocks are. It may have small round structures like tiny balls showing on the broken surface. These are called chondrules and many stone meteorites (the chondrites) will have them. But it will not have holes inside if it is a meteorite. Most stone meteorites will not have shiny crystals in them. They will not be layered or banded with different strips of mineral types. So ‘Solid’ and ‘Not Crystalline’ and ‘Not layered’ are phrases to remember. 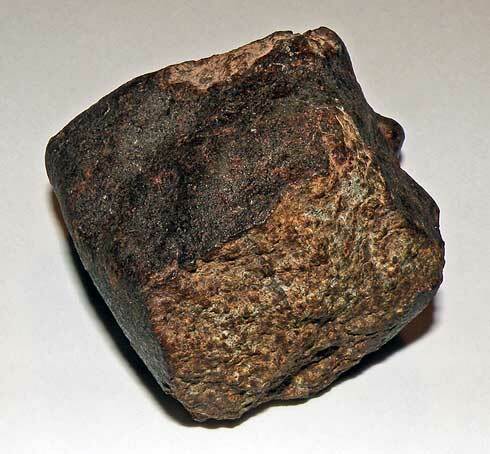 Stone meteorites often have grains of nickel-iron in them. 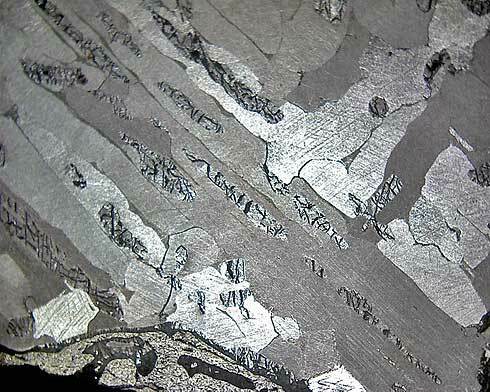 Metallic iron in rocks from the Earth is very rare. The moist atmosphere of the Earth has turned almost all native iron to some other chemical form of iron long ago. So, if you grind off a small spot on your suspect rock and find bright shiny metal spots this is another good indication that you might have a meteorite of the stone type. One thing to think about here is what I mean by shiny metal spots. These will not be a metallic luster or shininess. The metal spots in meteorites will be actual metal; they will look the way the chrome on a car looks. So having ‘Metal Grains’ is the next thing on our list of characteristics. Because meteorites often have iron metal in them they will respond when a strong magnet is brought near them. If a magnet will stick to your rock or a magnet will pull the rock when it is hung from a string that may mean there is iron metal in the suspect rock. You will want to grind a little spot as discussed above and see if there is metal. But many rocks on the Earth that are not meteorites contain iron in chemical forms that are magnet responsive. Magnetite is one of the most common and is often found in rocks. It will stick to magnets. But, it will not have metal grains when ground and the powder produced by the grinding will be black. The powder produced by grinding most meteorites will be brown. Fresh meteorites may not make brown powder but older stone meteorites usually will. So ‘Responds to a Magnet’ and makes a ‘Brown Streak or Powder’ is the next characteristic. Meteorites pass through the atmosphere of the Earth initially at the speed they had in space. This speed is thousands of miles per hour. They interact with the thin air high above the ground and are melted on the outside surface. This melted coating is called ‘Fusion Crust’. It is often black if the meteorite is freshly fallen, but will turn more and more brown as time passes laying on the ground. The iron grains and minerals will rust and weather making the meteorite browner. So ‘Black or Brown on the Outside’ is the feature we are now discussing but it maybe the first thing to look for in the rocks. If your rock had some of the characteristics but not all it is still possible that it is a type of stone meteorite. Some stone meteorite do not have much metal or any metal so there is none to see when you grind them and they will not respond to a magnet very much. You will have only their external appearance to go by. If you think it is fusion crusted and looks like it has flight marking from traveling through the atmosphere while melting on the outside, send it to be examined. 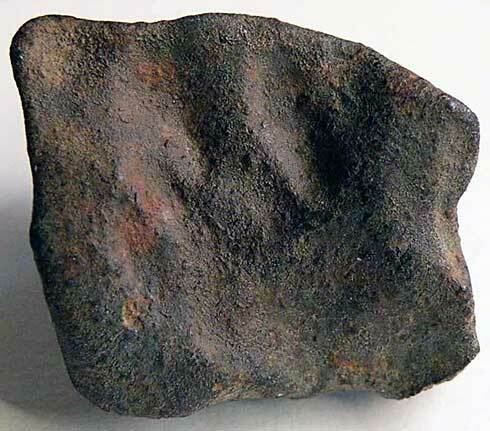 Much more rare to find are meteorites made almost entirely of nickel-iron. These meteorites will be black or brown on the outside. They will be very heavy and a magnet will stick strongly to them since they are metal. If you file or grind on them they will show metal like any piece of iron from your garage or a junkyard that is rusted. Iron meteorite and meteorites in general can be almost any shape. They will have smoothed off rounded corners, but do not have to be spherical in shape. Iron meteorite and other type may be marked on the outside surface by depressions. These are commonly call thumbprints. I use this name instead of the scientific term “regmaglyphs” since thumbprints describes them pretty well. Imagine pushing your thumb many times into potter’s clay. This is the kind of marks meteorites have sometimes on their exterior surface. Remember they are not porous. They will not have holes, but they may have these depressions on the surface. 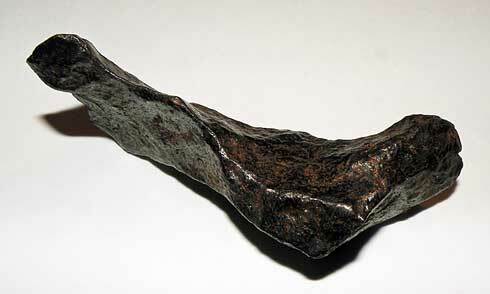 Iron meteorites can easily be confused with rusted pieces of man made iron and steel. Old mill balls and cannon balls become good imitators of meteorites after many years of rusting. The same is true for airplane parts and car parts, motorcycle parts all are found in the desert and other isolated areas now. Testing for the presence of nickel is often required to determine for sure if a chunk of iron is meteoritic. All iron meteorites have nickel along with the iron. This test is complicated enough to make it something that probably is not for the first time rock finder. But send the rock to a testing facility for analysis. Or if you can remove a piece send that instead. A piece the size of a walnut will be plenty for a determination to be made. If it is a meteorite that much should also satisfy the requirement for official classification and inclusion in the Catalog of Meteorites. 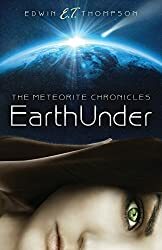 The finder is required to submit a finder’s report to the Meteoritical Society whose online address can be found below. Twenty grams of a meteorite or 20% of a small meteorite is donated to fulfill the requirement. This amount will be placed in a permanent collection for scientists to have access to after the analysis is complete. 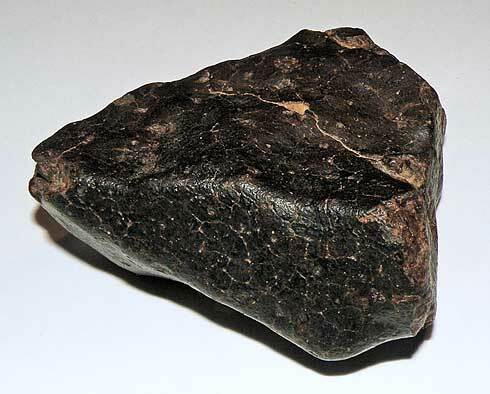 These are the last main type of meteorite. As the name indicates they have characteristics of both the previous types. They are made of a mixture of nickel-iron and stone. It will be possible to file or grind and find abundant metal. But it will often be possible to find spots on the surface where a regular file is useless since the material is mineral. The mineral portion can be dark silicate minerals or it can be yellowish green or yellowish brown olivine crystals. Stony-iron meteorites will be heavy since they contain a lot of iron. They will often be very rusted for the same reason. 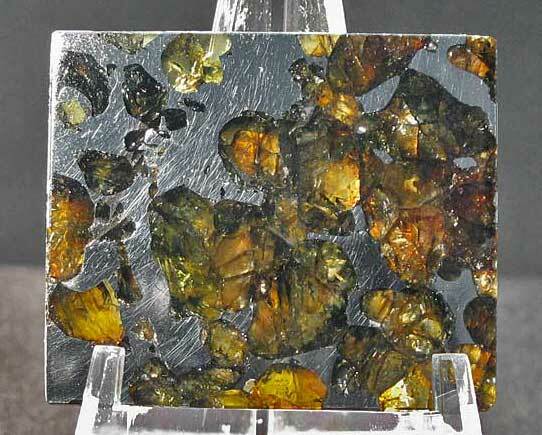 And the olivine crystals may have discolored on the outside or fallen out from weathering and rusting processes. Furnace slag is sometimes confused for stony-iron meteorite material, since it often has a residue of iron along with the melted rock component. But furnace slag is often porous and meteorites are not. Now for about a hundred dollars you can find out. A company out of Colorado named Geo Labs is making it easy to get your stone analyzed using their meteorite identification service. They offer XRF services specifically designed for meteorite identification. They require that all samples be submitted with a sample submission form and that samples adhere to their strict submission guidelines. They use a state of the art X-Ray Fluorescence technology to determine the bulk elemental composition of a sample, and can usually give you a quick yes or no answer within about a week to that burning question, is it a meteorite? Hardly a day goes by when we don’t receive emails from people who think they’ve found a meteorite. With this in mind we wrote a chapter in our new book “Meteorites – How To Recognize Visitors From Space” on how to identify meteorites. Below is the chapter from our new eBook. Meteorite hunters have created a funny term to refer to all the many rocks that look similar to meteorites but are not, they call them meteor “wrongs”. One meteorite testing laboratory a few years ago said that they received on average 7000 rock samples per year from persons who thought they had found a meteorite. On average there were only one or two real meteorites per year. With the wonderful media attention meteorite hunting has gotten in the last three or four years that facility had to stop accepting samples because they could no longer handle the demand. It is hoped that with the help of this book and its photographs the number of real meteorites sent to laboratories will go way up. Nothing beats a step by step tutorial for learning new things. So here is a test on two stones that look very similar. One is a meteorite and one is not. Much more will be said later about the characteristics seen in the photographs. Both stones pictured above are about the same color and size. They are both the correct color for a possible meteorite. Both are a shape that a stone meteorite could certainly have. The texture on the surface is within the range that a meteorite might display. The stone on the left is 9 grams and the one on the right is 6.9 grams in weight. Both of the stones will hold a magnet. So, both are somehow related to iron in their composition. The next step in testing, whether it is done at home or in the field while hunting, is to try and peek at the insides. You want to grind off with a diamond file a small spot. 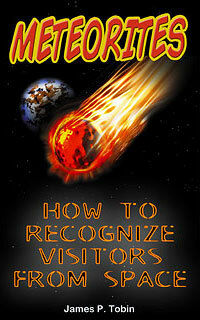 If it is a meteorite you will be happy that you did as little damage as possible. Here are those spots after grinding. You will want to note the color of the powder the file creates. It can often be an immediate tip-off to several of the common iron minerals you will encounter. Here you can see that there are no features in the rock on the left at all. 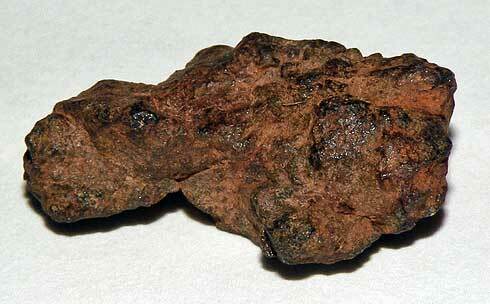 It is a nodule of some iron mineral. The rock on the right however, shows many small grains of iron and several small chondrules which will be discussed at length later. The rock on the right is the meteorite. What was the rock on the left? As the next two photographs will show, the color of the powder from filing the stone holds the answer. Just as in the normal streak test done on minerals red is the color which hematite produces. 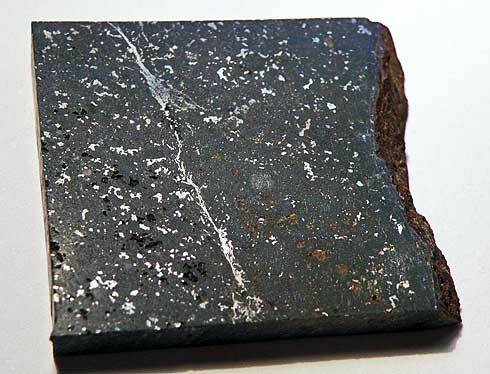 Hematite is the highest grade iron ore and is often found as small nodules while hunting meteorites. While it may not always stick to a magnet many times it does. The red powder from Hematite has been used throughout human history as a color pigment. It is the rouge red of yes, rouge. Mixed with animal fat or water it was the coloring for cave paintings. But, it is the wrong color for the mineral powder of meteorites. Here is the powder from the meteorite stone. It will almost always be a brown with an older stone. The other most common mineral that you will find sticking to your magnet while hunting is Magnetite. It will make black colored powder and the stone will be black as well. It will often show flat crystal surfaces with dull black luster when found in nodules. 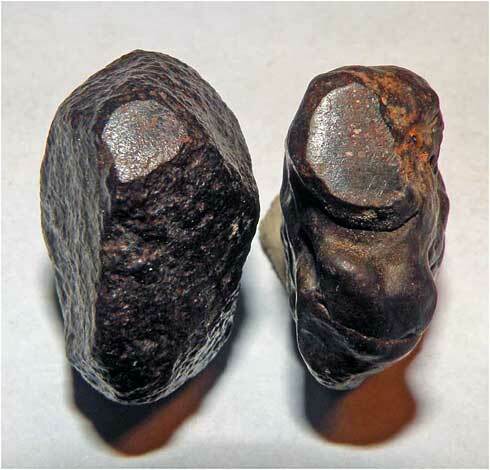 These two iron minerals make up a major portion of the meteor wrongs. It will not be discussed much later so this is a good time to mention a few other things that real meteorites will not display. Meteorites are not porous like lava rocks. With only a handful of exceptions meteorites are solid inside. Though old ones may have microscopic cavities where iron grains have rusted out, the remaining iron will be a positive sign it is a meteorite anyway. So if it has big cavities or is just bubbly, it is not a meteorite. My first find as a kid was a piece of basalt. Which I was sure was a meteorite. I eagerly sent it to the famous “Father of Meteoritics” Dr. Nininger. He sent me a nice post card back saying you have a plain old piece of lava rock. I was pretty devastated. But, a few days later I got a letter with some pages of material describing real meteorites and what they look like. Thus began the journey of a lifetime into the world of meteorites. Meteorites do not have quartz in them. Quartz and calcite are the two most common crystals seen while out hunting rocks. Meteorites do not have shiny crystal surfaces like terrestrial rocks. Some meteorites do have crystals but the presence of a lot of iron will make them obvious meteorites. Meteorites do not have layers of minerals in them. One of the common “hot rock” types is gneiss with magnetite seen in layers of black running through the stone. Small pieces of this gneiss will stick to a magnet and also illicit a response from a metal detector. Sometime the pieces of these gneisses and granites will create a signal nearly as strong as a low metal meteorite might create. Here is where practice and persistence come in.